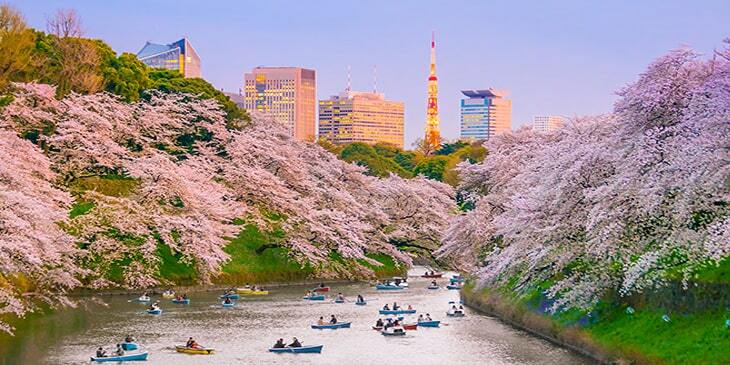 Impressive flight deals to Tokyo, Japan with Brightsun Travel – Book Now! Tokyo is a unique travel destination with endless tourist attractions, from dynamic night spots such as karaoke lounges and techno night clubs to lush green parks, Michelin starred restaurants, colourful neighbourhoods and architectural marvels. This captivating capital city offers a unique blend of the past and present; it’s rich in history with deep-rooted traditions and cultural heritage that can be explored within old style narrow streets and towns, ancient cemeteries and religious temples and shrines, but also very cutting edge with its neon skyscrapers, contemporary shopping malls and bullet train services. There is an intoxicating energy about Tokyo with just so much to see, do and experience. Unmissable attractions include the Tokyo Skytree - the tallest free-standing broadcast tower in the world with an incredible observatory platform as well as a dining, shopping and entertainment precinct at its base. Then there’s Tokyo Disneyland, a true must visit for families and thrill seekers with seven themed lands, each offering immersive attractions, rides and entertainment. Brightsun Travel offers a wealth of cheap flight offers to Tokyo, so if you long to visit this wonderful city, book now! Tokyo is a city steeped in lots of culture to immerse in; you can visit the beautiful Buddhist Senso-ji, the oldest and most significant temple in the city dedicated to a Buddhist goddess. The Tokyo Imperial Palace is another immersive cultural attraction, which is currently the primary residence of Japan’s Emperor. Within the palace grounds are historic ruins, art galleries and lush gardens. Tokyo’s culture can also be explored in the city’s many museums including the National Museum of Tokyo which contains numerous Japanese artefacts and artworks. As well as culture, Tokyo is also renowned for its immense shopping. Ginza is the city’s trendy shopping hub with department stores featuring international brands and luxury boutiques. For souvenirs, head to Asakusa, home to plenty of narrow shopping streets with stalls and small shops selling handicrafts, clothes, novelty items and much more. Finally, Tokyo has no shortage of beautiful public gardens and parks which offer a serene respite from the city bustle. The beauty of these parks is particularly special during spring time, when the flowers have bloomed, especially the cherry blossom trees. Book direct flights to Tokyo from India with Brightsun and look forward to planning an unforgettable break to this delightful city.